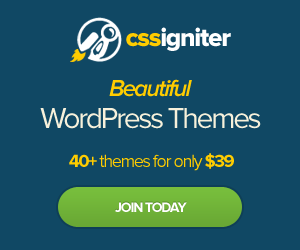 Appthemes.com has a 40% off sale on all their themes. If you are not aware of their themes, they developed the Classipress Wordpress template and the Jobroller Wordpress template. Classipress is good if you want to build a site like Craigslist and Jobroller is good is you want to create a site like monster.com or workopolis.com. This coupon will expire in 24 hours. Go to appthemes.com now.